2018 Alumacraft Voyageur 175 Sport. 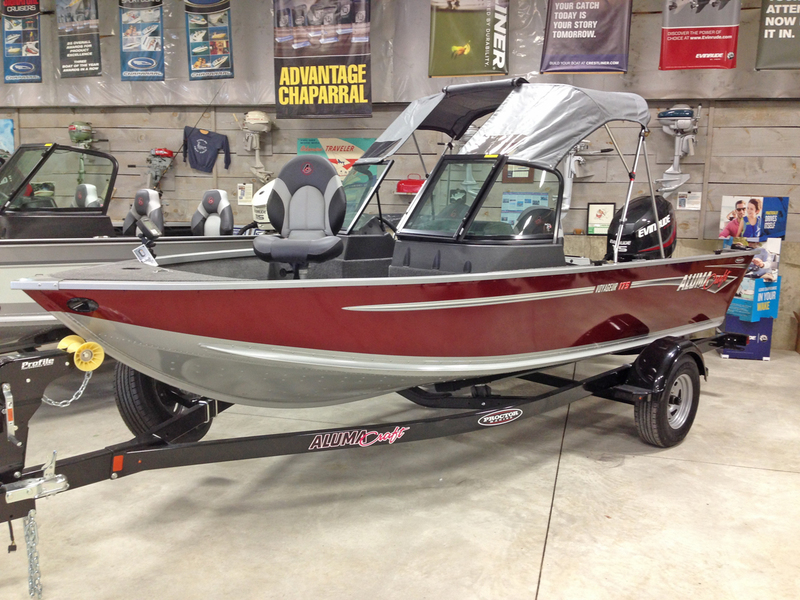 Powered by an Evinrude 115 E-Tec and packaged with a matching Shoreland’r bunk trailer. 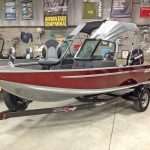 Our only remaining 2018 AlumaCraft model, this Voyageur 175 Sport is an awesome deal. Stop in and check it out before it’s too late! Measuring 17′ 10″, the Voyageur 175 Sport might be the largest boat in its class. The extra length gives this boat more room between the seats while improving the ride and allowing more space to move about when you stop to fish. With a beam of 87″ the Voyageur 175 boasts a favourable length-to-beam ratio that not only provides a soft ride but also performs strongly with less horsepower. If you like to pack a lot of gear you are going to love the Voyageur 175! Two rod lockers can easily handle more than a dozen 8 footers, additional storage space along the port side and in the bow can also stow plenty of gear. There’s even extra storage room below the floor within easy reach of the captain’s seat. The live well is conveniently located astern. It features a bait bag as well as a timer and an LED light. Other notable standard features include a sliding seat for the driver that is height adjustable too, 4 stainless steel fold down dock cleats and a fire extinguisher. Check the competition, most of these features are extra charge options on boats in this segment. Overbuilt construction highlights include a wood free transom, strong oversized extruded gunwales and a 2XB Bow that boasts a thickness of 0.145. Everywhere you look attention to detail and the use of quality components is clearly evident. We think that the Aluma Trac gunwale accessory system is the best in the business. Quickly and conveniently reposition your rod holders, fender cleats or a vast assortment of other boating accessories without the need of any tools with Aluma Trac exclusive accessories.